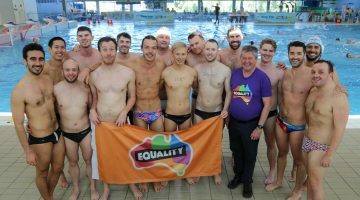 Tickets are now on sale for the Sydney Stingers gay and lesbian water polo club’s Pool Party, to be held in the plush surrounds of the Ivy Pool Club on Sunday, April 3. An impressive line-up of DJs will entertain the Stingers and those who want to party with them at the daytime party — expect to hear sets from Alex Taylor, Adam Love, Dan Murphy, Keenan, Chip, Jake Kilby, Troy Cox and Kate Monroe. Tickets — $30 first release, $40 second and $50 on the door if not sold out — are available now via Daisy Tickets and Moshtix. Next post Gwyneth Paltrow - country pop singer?